There are so many things going on at every Conference by The Open Group that it is impossible to keep track of all of them, and this week’s Conference in San Diego, California, is no exception. The main themes are Cybersecurity, Enterprise Architecture, SOA and Cloud Computing. Additional topics range from Real-Time and Embedded Systems to Quantum Lifecycle Management. But there are a number of common threads running through all of those themes, relating to value delivered to IT customers through open systems. One of those threads is Interoperability. The interoperability thread showed strongly in several sessions on the opening day of the conference, Monday Feb. 7, starting with a panel session on Interoperability Challenges for 2011 that I was fortunate to have been invited to moderate. Semantics is an important component of interoperability. It is estimated that 65% of data warehouse projects fail because of their inability to cope with a huge number of data elements, differently defined. Blame for lack of interoperability is often put on the vendors, but this is not really fair. Vendors must work within what is commercially possible. Customer organizations can help the growth of interoperability by applying pressure and insisting on support for standards. This is in their interests; integration required by lack of interoperability is currently estimated to account for over 25% of IT spend. TOGAF® has long been established as a pragmatic framework that helps enterprise architects deliver better solutions. 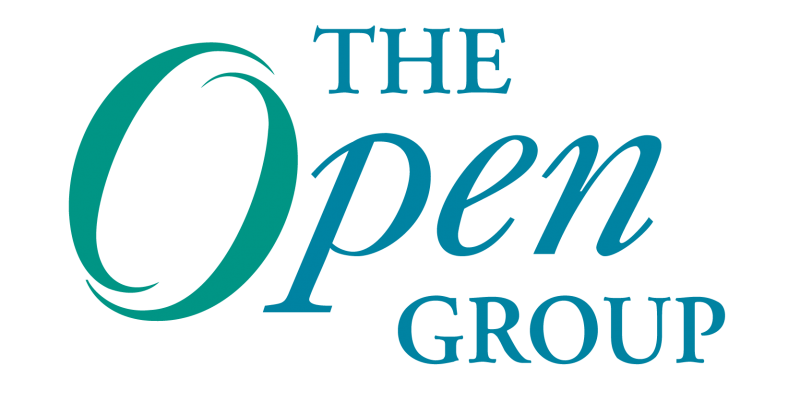 The Open Group is developing a practical guide to using TOGAF® for SOA, as a joint project of its SOA Work Group and The Open Group Architecture Forum. The first, by Mark Skilton and Vladimir Baranek of Capgemini, explained how new notations for Cloud can help explain and create better understanding and adoption of new Cloud-enabled services and the impact of social and business networks. As Cloud environments become increasingly complex, the need to explain them clearly grows. Consumers and vendors of Cloud services must be able to communicate. Stakeholders in consumer organizations must be able to discuss their concerns about the Cloud environment. The work presented by Mark and Vladimir grew from discussions in a CloudCamp that was held at a previous Conference by The Open Group. We hope that it can now be developed by The Open Group Cloud Computing Work Group to become a powerful and sophisticated language to address this communication need. Cloud is a topic of discussion at The Open Group Conference, San Diego, which is currently underway. Dr Chris Harding is Director for Interoperability and SOA at The Open Group. He has been with The Open Group for more than ten years, and is currently responsible for managing and supporting its work on interoperability, including SOA and interoperability aspects of Cloud Computing. Before joining The Open Group, he was a consultant, and a designer and development manager of communications software. With a PhD in mathematical logic, he welcomes the current upsurge of interest in semantic technology, and the opportunity to apply logical theory to practical use. He has presented at Open Group and other conferences on a range of topics, and contributes articles to on-line journals. He is a member of the BCS, the IEEE, and the AOGEA, and is a certified TOGAF practitioner. Interoperability is essential for achieving Boundaryless Information Flow. This topic deserves its own track at Open Group conferences. I am modern to this forum, but musing I prerequisite to share the recently discovered imagined video! I just can’t release you how scintillating it is so set and view yourself.